How can I reuse or recycle mussel shells? | How can I recycle this? John and I went out for dinner the other day and someone on the next table to us was eating a big bowl of mussels. After she’d finished her fishy starter, there was, of course, a big pile of shells left over – which naturally got my recycling juices going. They’re not realistically compostable in most gardens because they’ll take so very long to break down and may attracted rodents in the meantime – so any suggestions for how they can be reused instead? Are there any large scale recycling/reusing purposes for them that restaurants might be able to get involved with? I know people can buy jewellery made from them there must be a way to make that jewellery. Clean them up, sterilise them and drill a small hole (with a craft drill) to make a pendent? The shells polish up nicely. Actually they don’t stink if you leave the shells for long. It goes away!!! If you really care about the environment you shouldn’t be eating these to begin with. she wasn’t, it was another diner. Sorry Ben, but having grown up on the ocean I can tell you that were it not for the harvesting of such shellfish they would be so prolific as to take over whole ecosystems. Our fault for overfishing different species so now we have to manage our own screwups. Ben, that was a completely nonconstructive comment. Of course we can all be greener. The fact that you own a computer and use the electricity required to run it means YOU could be doing more for the environment. When will we stop this ridiculous one-upmanship and start applauding each other for what we ARE doing? Way to go lusi, for trying to figure out a way to recycle something that most people would dismiss. I would suggest washing them thoroughly, grinding them up, and putting them around plants that tend to get eaten by slugs or snails. Egg shells work well for this, so I don’t see why other shells wouldn’t work too. I agee. In Aotearoa we eat a lot of different shellfish all year round. With the mussel shells we put them in a hole in the driveway (loose metal road / driveway), or crush them and put in to pot plants as you say, and we also use as jewellery. We mostly crush them down though. WOW, thank you Krista for actually addressing the question. I definitely like your suggestion , but how do you balance the amount of salt needed to kill the slugs and not destroy the moisture content of the soil. Otherwise I was thinking that if you left them intact and placed them shiny side down they may serve the same purpose as mulch/bark by enchancing/prolonging the soil’s moisture content. Your thoughts? Mussels are put here on earth by GOD, put here for nutrition for us to use and enjoy. So eat drink and beat Mary. All is well when mussels do the work and serve GOD’s purpose. Hey bartender, another beer please, and more Mussels, hey while your at it please get me more shrimp sauce, horsey sauce, butter, and a few lemons please. You are wonderfully equipped, is your name Mary? However some feel that was directed solely to the Israelites, so its up in there, just not something as well known so I figured I would throw it out there. I am not a literalist by any means so I eat what I want, although limiting or not eating pork has obvious benefits whereas abstaining from shellfish does not, unless they have been exposed to highly toxic water and are unable to breakdown and purge those toxins. Why not? I correct wild shellfish regularly for my family and can’t see a problem with that. You need to give reasoning when you make comments like that otherwise you might add well not post at all. Ben, Why? How is it damaging the environment when people eat mussels? Mussel farming is one of the most natural and cleanest of the fishing industries, unlike salmon farming! If you care about the environment you should stfu!!! Anonoymous is mistaken. 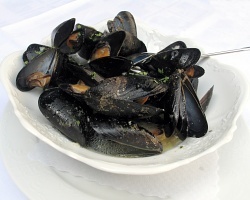 Mussels are not endangered and involve negligible environmental impact compared to beef, chicken and fish consumption. Furthermore, from a humane point of view, they have a very low sentience. They are mostly rope grown and therefore not dredged. Could they be recycled in the garden if they were crushed first? They do use crushed shells in place of gravel for driveways and walk ways. When we lived in Florida, seafood restaurants would crush the shells and use them to “pave” the parking lot–kind of like crushed stone. In North Carolina oyster shells are banned from landfills. They want people to recycle them so they can be put back in the ocean for baby oysters to grow on. I am not a biologist so I am sure some of the details are wrong but that is the jist. I am not sure if mussels work the same way. Shells are basically made of calcium. In the construction industry, calcium/lime is a very useful material – used in cement, mortar etc… In parts of India, Goa especially, shells were powered and used to make mortar and plaster – though this was in the years gone by…. now people mostly use cement. While a mortar and plaster industry cannot be based on left-over shells from restaurants, they could contribute to it if one existed. For those interested in using it for their own homes, I guess they could go around gathering up shells from different places…. Oh… I remembered another use… a friend’s uncle once picked some up from the beach, washed them and popped them into his sugar, tea and coffee jars. They looked much better than plastic spoons. Actually they have no nutritional value for chickens. They are fed to chickens because they provide “grit” in the gizzard, which helps in the process of breaking down and digestion of grain. Yes the crushed shells are used as grit by chickens… But they do have nutritional value too. The calcium in the shells is great for helping the egg shell production. if they can be crushed down to 1/2″ to 1″ pieces they make okay ground cover for flower gardens and/or around bases of trees. it will keep weeds down, moisture in, and will break down into simple calcium over time. Do plants use calcium? If not, it is only as ground cover? I have to look for an easier way to crush clam shells. a friend made spoons out of muscle shells, he attached a stick to it. Otherwise I’d crush them in a bag with a hammer and mix them into my compost. Yeah, they’d be great in compost, but they’d make it very alkaline so be careful only to use it for plants that can tolerate that. They could be useful in an aquarium – lots of places have quite acidic water that lots of aquarium fish can’t handle, so people add shells to the water to neutralise the acid. They eventually dissolve and have to be replaced, and they’d have to be cleaned up really well to avoid spreading disease to fish which are not exposed to natural levels of bacteria etc – boiling them should do it, followed by a scrub in salt water. I always use shells in my garden. Clean off first, then through them in the beds. They look nice, decompose over time, and provide nutrients to the soil. Shells can be crushed “automatically” as well: At a “traditional” meal offered by members of a Native American tribe on an island in Puget Sound in the northwest part of Washington state, USA, visitors are instructed, after dining, to throw their empty oyster or clam shells (I don’t recall which) on the path to the lodge where the meal is served. Then, in the course of daily life, as they are walked on and driven over, the shells are crushed into “gravel”. They also make a pleasant crunching noise and sensation underfoot (not barefoot, please!). I don’t recall any concerns about first washing the shells. Of course, the frequent rains may take care of the washing, and life on an island may mean helpful seagulls pick the shells clean before rats or slugs or whatever are attracted by the scent. I bake or fire my mussel shells. This makes them easy to crush/break up as the heat makes them brittle. They mainly contain Calcium Carbonate, but not as much per weight as Oyster shells. If you don’t want to use the extra energy of baking them – UV radiation will do the same trick but take a heck of a lot longer. If you happen to have chickens or know someone who does, they can be ground up and fed as a calcium supplement. Oyster shells are sold commercially for this. It also works with old chicken egg shells. when i was younger i ate these all the time!! my mom was very crafty, and we bought a plain wooden frame from the craft store. we glued them on in a pattern, and put pictures of us at the beach in them!! also, we bought a plain wreath from the craft store, made it all with shells and tied a bow at the bottom with some blue ribbon. then we put that on the door of our beach house!!! how can I make tiles from mussel shells? the shells can also be used as dishwashers. how can i make one?? its our project actually , but i really dont know how to do it…. I haven’t tried this yet- but what about using shells to line a gas bbq grill? Seems to me that they would hold/reflect heat well, and break up the flame to more-evenly cook. If/when the break down too much, scoop ’em out and add them to the garden somewhere. I’ve been researching possible uses for mussel shells and discovered a web site about a vigneron in New Zealand using mussel shells under the grapevines in his vineyard as a mulch and to decrease ripening time. Also suggests it may quicken ripening of citrus fruits. I saw a beautifull chandelier in Southern Accents Mag. this month. Looks like they used about 1,ooo shells. I might try it. I know of some aqua-culture plans and strategies that rely on shell being used as a habitat base for the next “crop” it’s used with scallops, and oysters shell’s. and i believe that mussel shells can be used in the same way. Returned to their natural environment. Please check out http://www.shellstoneinc.com and see what that innovative Maine business is doing with recycled lobster, mussel, and clam shells! You can also see their Maine Seashell flatware on http://www.neimanmarcus.com. A very green business that is trying to save shellfish waste from going to landfills and also trying to employ Maine people! I popped a bunch of leftover mussel shells and mussel meat in my Bokashi bin yesterday. I am guessing that they will break down pretty slowly, but in the meantime release calcium and nutrients to my garden. One advantage of using a Bokashi bin is that you are essentially pickling everything you put in it, so the finished product is pickled food that won’t attract animals. You dig the finished Bokashi right into the ground, and it turns into compost within a few weeks. For green minded people, this is great because you can add raw or fresh meat, fish, old pizza, pasta, citrus, onoins, and other things you can’t so easily put in a traditional compost bin. And, there is no smell involved so you can actually keep it in your kitchen. you can make it as alternative ingredients in making ceramic products.. I would love to know of a website that sells beach findings. I make jewelry and I love the look of black mussel shells. Iwant to start a smaal bussines with black mussel grit. What should I do with these mussel shells? I want to recycle them by using them as decorations and stuff but the only option is making picture frames. Rhinestones for decorations and a votive candle holder that’s cute. We do it as a hobby and have used them for gifts and donations. It’s a fun winter project and they’re beautiful. On the 12″ wreaths I make a hanger on the top and bottom. I create a flower out of the shells that’s part of the wreath. With the hanger on both sides you can have the flower on the top or bottom. I can e-mail you some photos if you’d like. I collect mussel shells, and am looking for ideas for our Holly Fair. Would love to see pictures, and what kind of glue you use. Melt down a bar of soap, fill the shells, give them as gifts for use as guest soaps. Mussel shells lock away carbon and take a very long time to break down. By recycling them we help to lock away more carbon. Due to the way mussels spawn, most of their offspring are eaten or never find a place to grow on. By harvesting wild mussels we clear areas for the next generation to settle and grow. Also mussels farms produce additional space for them to grow. Currently the acidification of the oceans is threatening the ability of shellfish to grow shells. So the more mussels we harvest, grow, eat and recycle the more carbon we lock away. You can use them for styling a garden. On a trip to Lisbon, Portugal, there’s a famous shipping household with external walls coated entirely in mussels embedded into the concrete. They’ve also creatively lined the earth with mussel shells between the long grass which is an amazing effect. Takes a while to store that amount of shells though. If you have a worm farm you can use them to reduce the acidity in the bedding as over time food scraps make it acidic which can kill the worms, also worms do not have teeth so they use grit when they eat to aid breaking down matter in the long term it would speed up decomposition of scraps. The way to do this would be to bake them or scorch them in a fire and put them in a cloth bag and stamp them into small pieces. Then blitz the small pieces in a coffee grinder until you have a powder. Do not use it all at once but add small amounts on top of scraps when you add them then cover the scraps with some damp bedding (paper or card) in the long run the habitat will be more hygenic, less acidic and decompose household waste faster. You can cut discs from your shells, drill two holes in them and make buttons. You can simply clean them first or you can bleach them white to make pearly buttons. I have copied the instructions for you …. Place your seashells in a large pot of water, covering the shells with about 2 inches (5.08 cm) of extra water. Bring the water to a boil, letting the water roll for about 5 minutes. If you are boiling more than one shell, add extra boiling time. Bring the water to a boil, letting the water roll for about 5 minutes. Larger shells might require more boiling time. If you are boiling more than one shell, add extra boiling time. Rinse the shell with a mixture of water and vinegar to remove any leftover scum from the boil. Follow this by using a toothbrush to scrub your shells gently with soap and water. Smell the shells to determine if you have removed any fishy whiffyness. Fill a bucket halfway with 1 part water and 1 part bleach. 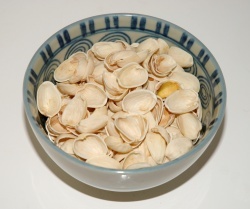 Soak the shells in the bleach mixture overnight, or at least 10 hours. Rinse the shell thoroughly with water and scrub the shells again with washing up liquid. Dry the shells with a soft cloth and lay them outside in the sun to ensure complete dryness. It is best to cut your buttons at this stage. It is not easy to get more than one really good button from each shell. You can buy circular cutting tools for your drill. I have got a hand powered drill which means I can control the speed well. 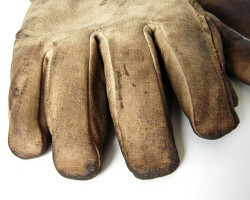 Use fine sand paper to smooth the edges. Rub mineral oil over each button to give it a deep gleam. Allow to dry for at least 1 full day. Place the buttons on a bed of newspaper on the ground. Spray the shells with satin-finish polyurethane or coat with clear nail polish. This type of finish preserves the shell’s organic look while giving it an extra gloss. Allow the tops to dry completely (about 1 day) and repeat the satin finish on the opposite side. Calcium carbonate in shells traps CO2. If you are going to recycle them, please ensure that the CO2 stays in the shells… somehow. I am extremely impressed along with your writing skills and also with the structure for your blog. Is this a paid subject or did you customize iit yourself? it’s rare tto peer a nice weblog like this one these days..
can we use them for the aquarium decoration ? Ashes are put in metal bucket. Carefully put around plants with my largest spoon. Half way around the garden I get tired of it so pour the rest over the nearest plant or vege garden or in the mussel pot or courner of chook house for a dust bath. I want to steam mussels in wine till they open, Then I want to put a savory mixture of garlic, parmesan cheese and bread crumbs over each mussel (still in the shell) and bake them in the oven at 320 degrees for 15 minutes. My question is, will the shells survive under these conditions or will they disintegrate? Bernard: Your shells will be ready for use in mortar – if you’re up to building a house – crush them into powder – but you need lots of them! 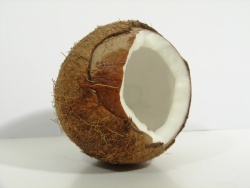 And use hemp as main ingredient – that´s max environmental friendliness. Good Lord! All I wanted to know was how to clean the back of mussel shells to get to the pearl finish. I didn’t intend to start a war of words on the ethics of eating them. I don’t. The wild mink in our lake eat them and leave the shells on the rocks. I break them up into small bits (not powder) with a giant pestle and mortar, then sprinkle them round plants in the garden – it’s great at keeping the slugs off.